We love romantic love stories especially when it involves a veteran and his wife! 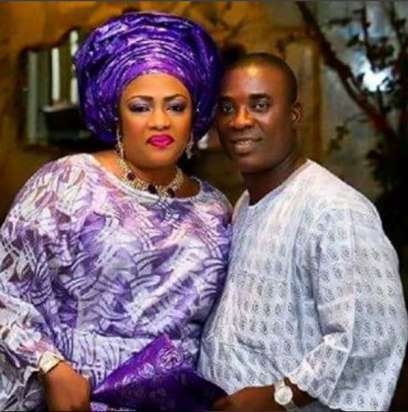 So, King Wasiu Ayinde Marshal's wife, Opeyemi Fatia was a year older yesterday, October 9, 2016, and he took to Instagram gushing over their love and his wife. I keep saying to you, I keep telling you that I love you so, And I want you to know. Oh please believe what I say, I promise you I would stay, I'll be here for you my love, until the end of time. The joy & blessings of God for you today and the rest of our life. Happy birthday my darling."